I've said it in the past, shoujo anime is a torture, and better the shoujo anime is, bigger the torture would it be. And Sukitte Ii na yo, is one piece of giant torture device. I think the biggest plot device shoujo stories use is "misunderstanding" and "backstabbing". Week in week out, Sukitte has been putting on some spectacular displays of such. It was so spectacular, I wanted to pull my hair out by the hand full every single week I watch it. Some people may hate this for this specific reason. But if there's any emotional masochist in you, (yes, I admit that I am one, haven't you seen all of my posts about tragedies? ), you would just love what this anime does to you. 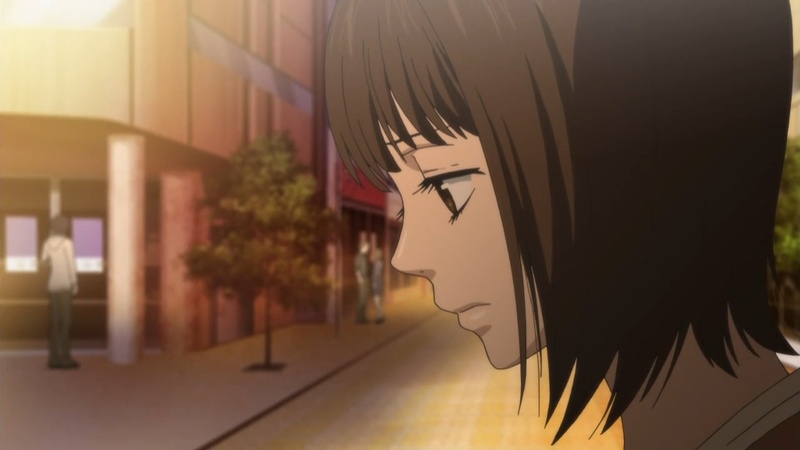 Having said that, however, compare to Kimi ni Todoke, Sukitte comes a bit short in becoming a great shoujo anime. For the most part, the characters felt a bit one dimensional. Even though they made it clear that Yamato too is an amature when it comes to love, he is just far to naive for the status he holds. On the flip side, Mei, it's really hard to image that having been hardened for so long, she would just fall apart like that (though I do kind of understand what they were trying to do here). Then there's Megumi, that's a bit too quick of a flip flop. As much as like all the characters and the stereotype they represent, they just felt a bit...shallow. All in all, everything occurred felt just a bit too convenient for the story, which really makes it feel like a trashy romance novel.